I can't believe Valentine's Day is next week! Like I said in my previous post, it seems like it was just Christmas. An extra day and reason to spread some love and sweetness to your friends, family and spouse/significant other makes my heart smile! I love to do my nails, wear clothing that is themed and even match my lipstick to the holiday we are celebrating. 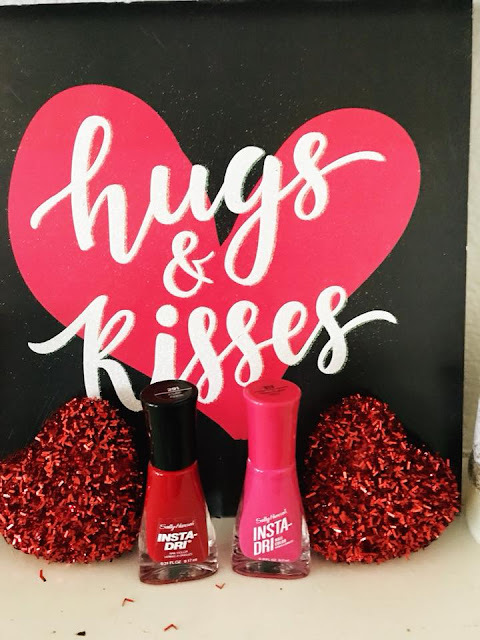 Sally Hansen and Rimmel London have partnered with me for this feature, as we take their Insta-Dri nail polishes and their Stay Matte Liquid Lip Colour in reds and pinks...for a VALENTINE'S DAY INSPIRED LOOK! 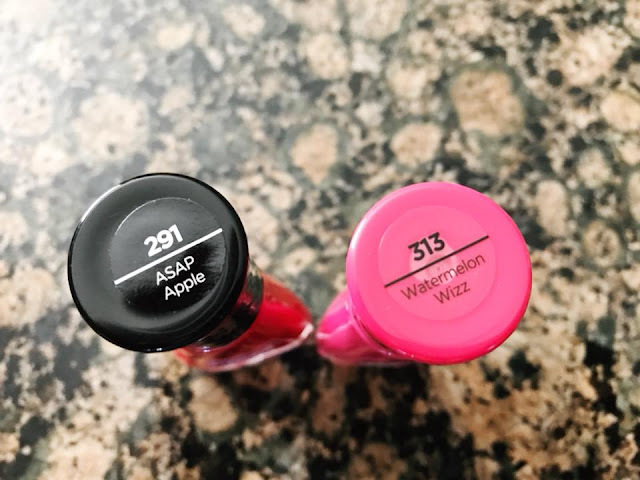 I painted my nails with the ASAP Apple Red and the Watermelon Wizz Pink Insta-Dri Sally Hansen polishes. 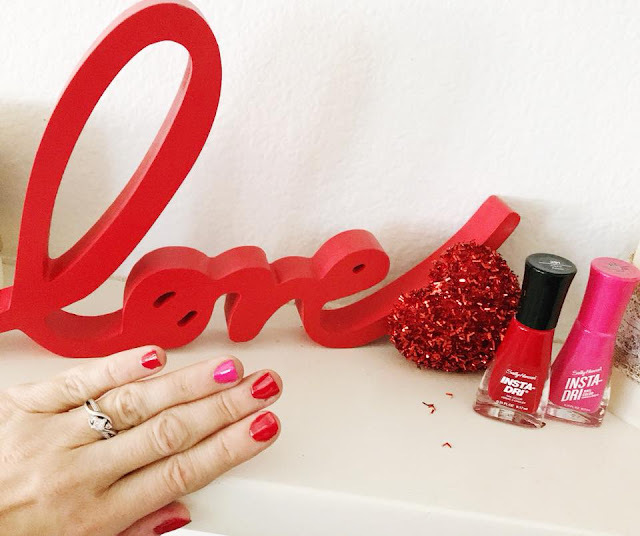 I used the Watermelon Fizz color as the accent nail (my ring finger). The thing I absolutely love about this polish is how well it covers and how VERY QUICK it dries. The name is definitely correct! I did two coats of polish, five minutes before leaving to pick my kids up from school today and it was dry before I got in the car. 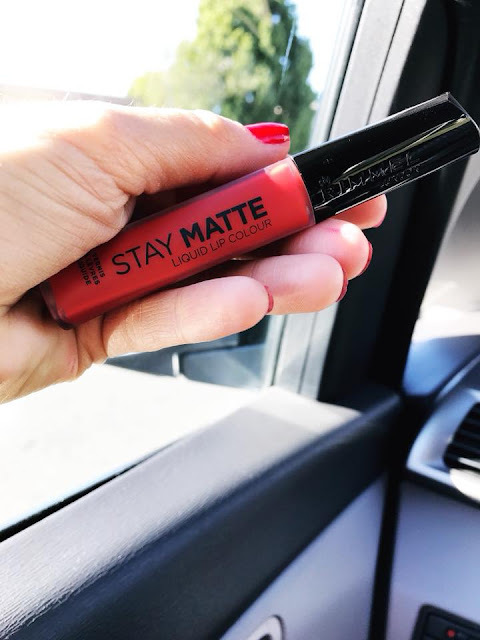 The Stay Matte "Fire Starter" Liquid Lip Colour from Rimmel London is also the perfect RED lip color to achieve your Valentine's Day look. 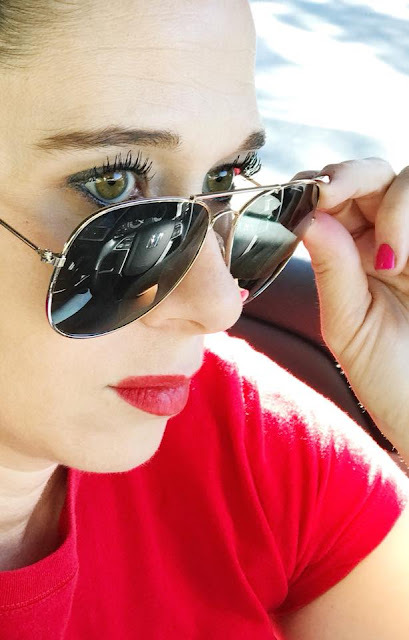 This color is perfect for casual or even dressier "date night" looks. But hey, not gonna lie, it's a pretty bold look even in the school pick up line on a Friday afternoon. My oldest son told me, "red looks good on you"! The best part? This color stays on and doesn't fade throughout the day. 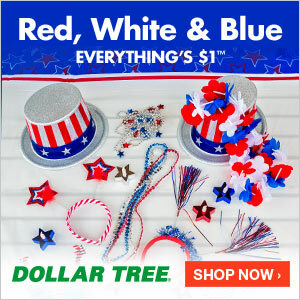 Perfect for a long day at work or an evening out on the town. CLICK HERE to see all the fun colors that can inspire your holiday looks from Sally Hansen! 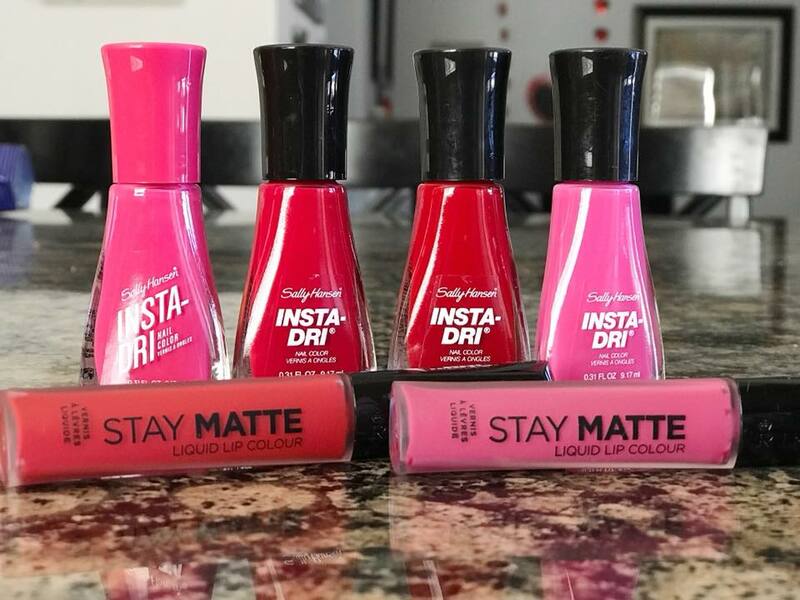 CLICK HERE to see all the fun colors that can inspire your holiday look from Rimmel London!